Tennis shop and Fitness boutique. We offer the latest in Tennis and Fitness fashion, providing a wide range of high-end quality brands. We know our clients live an active lifestyle and to better meet those needs we've continued to expand our fitness apparel selection so you are covered from the court to the clubhouse or studio to street. 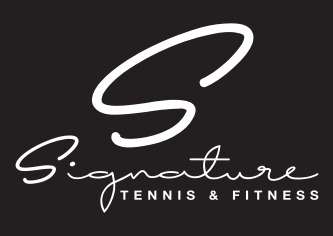 Signature Tennis is a full service, locally owned tennis store. We offer the latest in tennis fashion, and fitness apparel, providing a wide range of high-end quality brands. We have everything from women’s and men’s apparel, to shoes, racquets, stringing services, jewelry and accessories to keep you looking and feeling good! Signature Tennis was founded to fill a gap in the vast growing tennis community; to give tennis players and lovers a wider range of options. Our staff is friendly, determined, and hard working. They will assist you with all of your tennis needs.